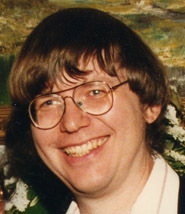 Michael Plass was co-implementor of the original prototype for TeX. Michael Plass, interviewee: I did my undergraduate work at Northern Illinois University, majoring in both physics and math. The math was actually mostly about computers — there was no Computer Science department there at that time. While there, I was introduced to the Art of Computer Programming books, which got me interested in Stanford. After graduation, I got married (my wife Susan later became a TUGboat author herself), and we both went on to get MS degrees at NIU. In 1976 we moved to California, where I started at Stanford in the fall. DW: Barbara Beeton has reminded me that Susan was also on the TUG board in the 1980s, was secretary for a couple of years, and created TUG's first bylaws. Please tell me about your time at Stanford, and about your involvement with Donald Knuth. MP: The first semester at Stanford included a course labeled CS 204. That year Knuth taught it. In the course of the semester there were half a dozen or so assignments, mostly programming. One of them involved graphics, made possible by the computing facilities at SAIL. Another was essentially the line-breaking problem. A third was a data-structure design problem that led to me being a co-author of my first paper. That was the best course I ever had. The following summer (1977), Knuth went on a trip to China. Before he left, he charged two graduate students, Frank Liang and me, with the job of implementing TeX. Knuth left some fairly detailed notes about what he had in mind. Frank worked on the output modules, and I worked on the allocator, parser, macro processor, and so forth. On August 24, we combined our programs, and after a bit of debugging, were able to process a subset of TeX input all the way to XGP output. Knuth, on his return from China, seemed pleased with our efforts, and proceeded to re-code TeX himself. He asked me to continue to work out details of the line-breaking. Later, as I was casting about for a thesis topic, I returned to the line-breaking problem and extended it to the problem of pagination, taking into account floating figures. My thesis was one of the first to be typeset in TeX. DW: For people who might want to look at it, I see your thesis on Optimal Pagination Techniques for Automatic Typesetting Systems is available on the web. I'm sure many people in the TeX world also have read your paper with Knuth on “Breaking Paragraphs into Lines” when it appeared originally in Software — Practice and Experience or as reprinted in Knuth's Digital Typography compendium. Please say a few words about what you have been doing since Stanford. MP: After Stanford, I went to the Xerox Palo Alto Research Center (PARC), where I still work today. Most of what I've worked on there over the years is connected with graphics and printing. DW: I've seen something about that on the PARC website. MP: I have two daughters, both now adults. A few years ago, my elder daughter was introduced to LaTeX, and she was quite excited about finding my name in the Wikipedia article about TeX. That was fun. Today I do make use of LaTeX for authoring, but it does make me feel a bit like a novice. It's wonderful to see it still going strong after all these years. DW: Thank you very much for participating in our interview series.